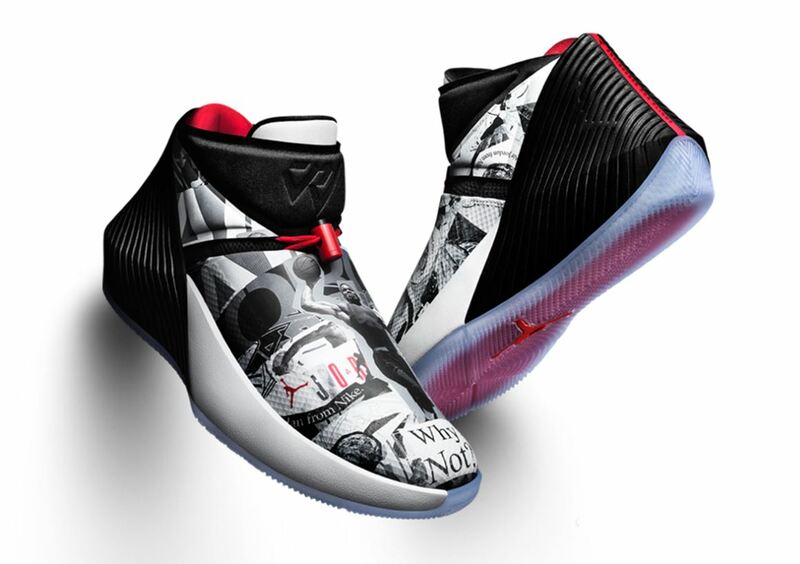 The Brand New Russell Westbrook Jordan Why Not Zer0.1 'Mirror Image' Sneaker will be Available at 10 AM HERE at Nike and HERE at Footlocker. Russell Westbrook mirror's MJ's passion for the game and relentless drive. The first colorway of his new signature sneaker, the Jordan Why Not Zer0.1 'Mirror Image,' celebrates the winning mindset shared by both athletes. The Jordan Why Not Zer0.1 features a mesh upper for lightweight containment, a full length Zoom Air unit that provides responsive cushioning and internal laces with an AJ VI-inspired toggle for locked-in comfort.